Happy Thanksgiving from Boston, County Clare, Ireland – no zip code required! Boston in north County Clare. The Irish name means the little meadow or little bog of the skulls! So, there’s a snowstorm about to hit the north eastern states, including the city of Boston (the one in Massachusetts, that is). Well, one Boston that won’t be getting a snowstorm on 27th November 2014 is the one in Ireland! Now we all know that Boston, Massachusetts, USA, is named for Boston in Lincolnshire, England. Indeed if you just Google ‘Boston’ you get the name popping up all over the place, from England to South Africa, to Suriname (!) and the Philippines (understandable, I guess!). And it seems that we have THREE (yes, THREE!) Bostons here in Ireland! One is a townland (remember those?) in the middle of the country in County Laois. There is apparently another spot near Cratloe in south-east County Clare (on the way from Shannon Airport to Limerick City). And there is the little village of Boston at the edge of the Burren in the north of County Clare (close to Gort in County Galway!) 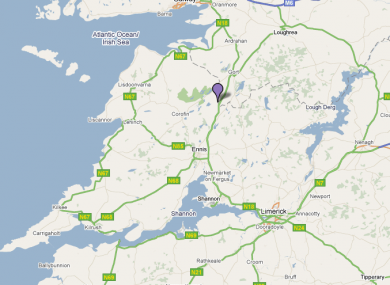 On the map it is located just north of Lough Bunny (yes, really!). In fact I’m not quite sure if the word village should be applied to it – it’s a straggle of houses beside a country road, with a post office, school and church. Somehow, I don’t think they’ll be doing a big dig there anytime soon. Oh, and the weather on Thanksgiving Day will be a mite warmer than the in Massachusetts! The Irish name of the place is interesting – the little bog of the skulls! Presumably someone dragged out some prehistoric skulls near there in years gone by. You know, I can’t help feeling that Clare County Council missed a trick when they didn’t exploit this fact to make American tourists feel more at home here! Imagine flying from Logan Airport, Boston MA, and landing in Shannon Airport to be confronted with a four-fingered signpost indicating Boston MA (2,900 miles), Boston, Cratloe, County Clare (10 miles), Boston, County Laois (50 miles or so) and Boston, County Clare (35 miles – or thereabouts!). Or maybe we should just scratch the thought – it’s enough to induce one to buy an immediate return ticket to the States! Or maybe the adventure is too much to resist! Are you STILL LOST? 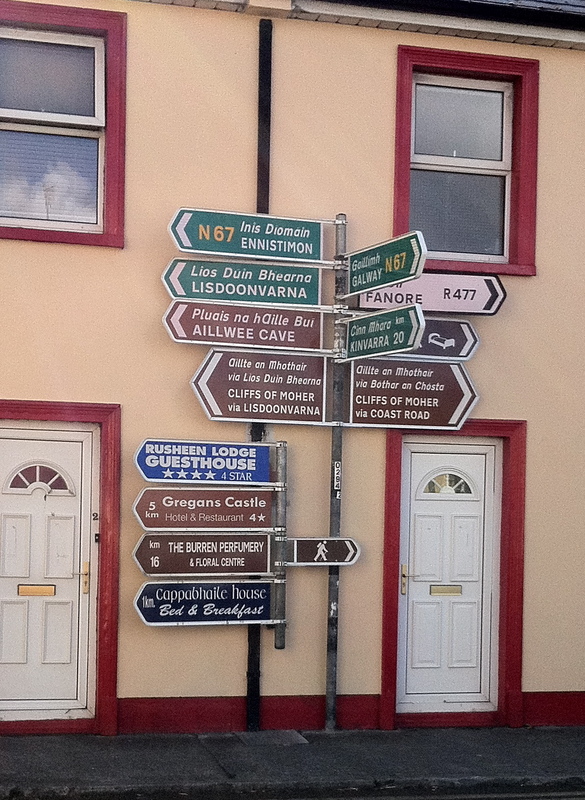 The famous over informative signpost in Ballyvaughan, near Boston, County Clare – as it was up to 2011. A national treasure! The cleaned up replacement. Frankly I prefer the original – it was hilarious! I’ve attached a youtube link just to amuse you while digesting the turkey! Tubber is marked on the map – you turn off west there for Boston, naturally! To all my American followers, Happy Thanksgiving from Ireland! Now don’t get lost, y’all hear? Seeing that there was such a good response to my post on the World War I lecture in Carrigtwohill that took place last Friday night, I thought I’d follow up by posting a link to a publication by the US Naval War College in Newport, RI. The book is called The Queenstown Patrol and is taken from the diary of Commander Joseph K Taussig USN who was based in Queenstown (now Cobh) in 1917 – he led the first patrol of US destroyers to Queenstown after the Americans entered the war. The diary entries include a reference to what may have been the first ever recorded game of baseball played in Cork by the crews of two destroyers before some 3,000 people. The train service from Queenstown to Cork still runs hourly – and although short, as he says, it’s a pleasant and interesting journey. Unfortunately, Taussig left Queenstown before the Air Base in Aghada was built, but his observations are interesting – especially concerning the seeming indifference of the local population to the war! Remember, Ireland, as part of the UK had been at war since August 1914, while the US had only just entered the war, so the indifference might have been war-weariness. I did notice a few typos in the text: Talley Head should read Galley Head, and Gaunt Rock Lightship is also mentioned – in fact it is Daunt Rock Lightship, scene of a famous lifeboat rescue many years later. I’m sure there are one or two more. Also, one of the illustrations at the back of the book shows a US destroyer in the harbour before the famous cathedral of Queenstown/Cobh. The cathedral is captioned with the name ‘Stella Maris.’ OOPS! 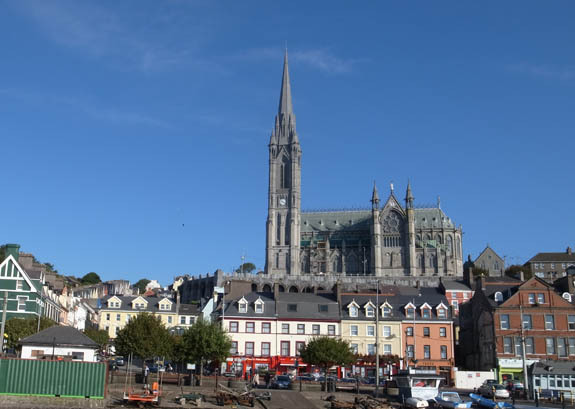 The Catholic cathedral in Cobh was built as St Colman’s Cathedral – it never changed its name! 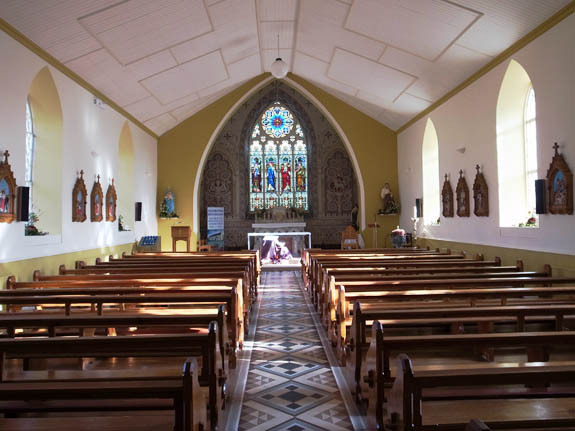 ‘Stella Maris’ may be a mistaken reference to Ballycotton church – Our Lady Star of the Sea – which was then only a few years old and also stands on a height in the village. 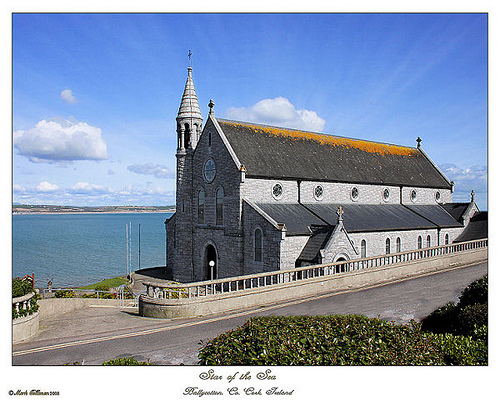 Although how the publishers could mix up the cathedral and church is beyond me – the US Navy wasn’t based in Ballycotton! 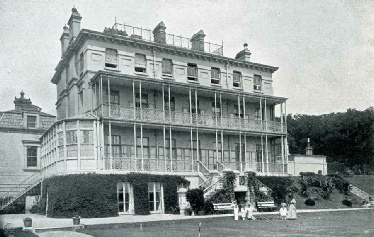 Admiralty House, Queenstown (as it then was). This is where Vice- Admiral Bayly RN was based. 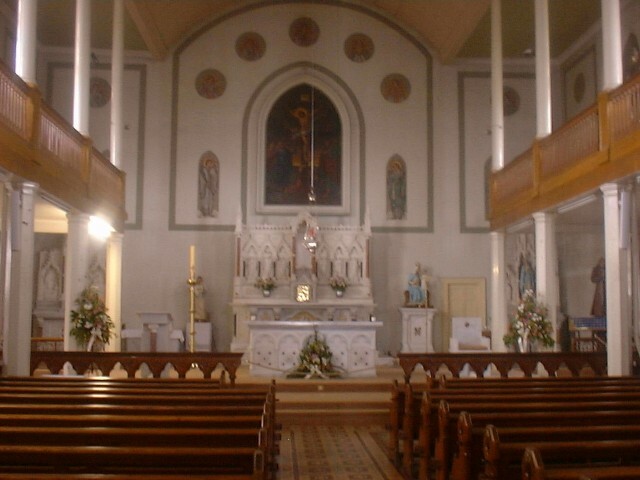 The building is now a Benedictine convent. 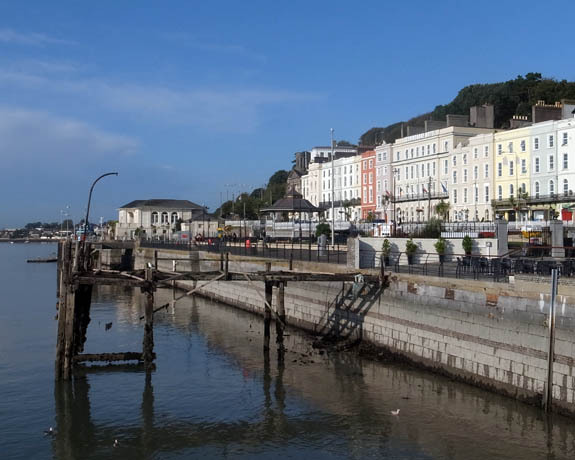 Cobh Promenade and the former Royal Cork Yacht Club – the favourite bar of US naval officers in Queenstown. It’s now an art gallery. It may seem odd to refer to sites of the Great War (World War 1) in East Cork. But, in fact we have four such sites in these parts. The first is the great basin of Cork Harbour which sheltered the Royal Navy and US Navy flotillas protecting the Western Approaches. Then there is the site of the US Naval Air Station at Aghada – now Aghada Tennis Club (although one building appears to have been moved bodily into Midleton!). Aghada’s US Naval Air Station gate piers. The inscription on the gate piers is original. It reads US Naval Air Base. Built by Irish contractors and dismantled after the Great War. Then there is the Royal Navy’s unfinished Airship Station at Ballyquirke between Mogeely and Killeagh – the concrete water tower is the most striking landmark there. 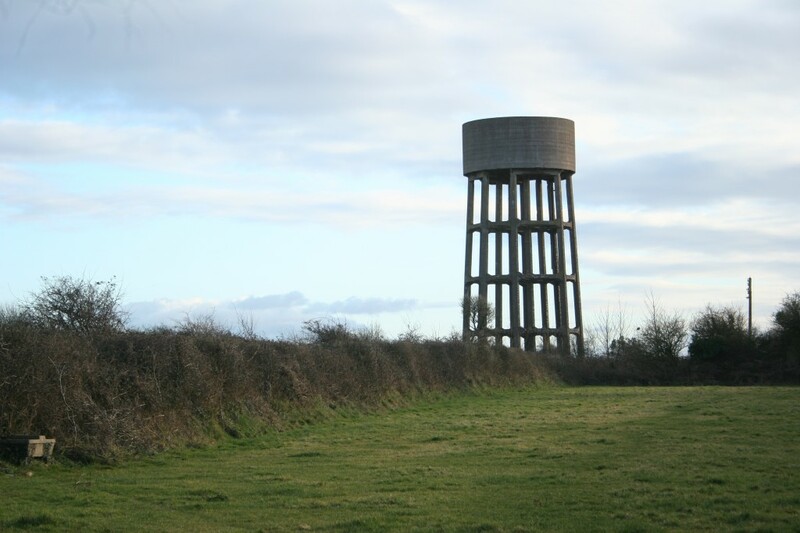 Water Tower at the site of the Royal Navy’s unfinished Airship Station in Ballyquirke. Had the British followed the American lead in hiring irish building contractors, the base might have been finished before the end of the Great War. 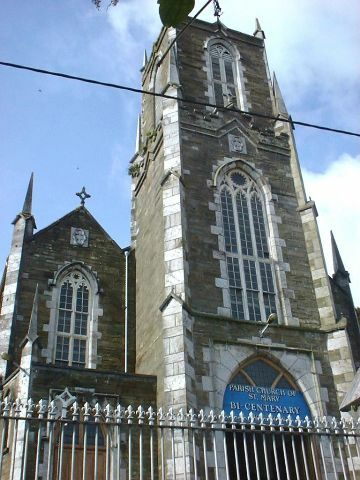 Finally there is Old Church Cemetery in Cobh (the former Queenstown) where nearly 200 victims of the RMS Lusitania were buried. Altogether some 200 men from East Cork died in the war. I recall an elderly neighbour telling me ago that he recalled TWO explosions aboard the Lusitania – he was a little boy in West Cork when he witnessed the tragedy. In fact, he told me this several years before the more recent controversies emerged about the Lusitania’s cargo. 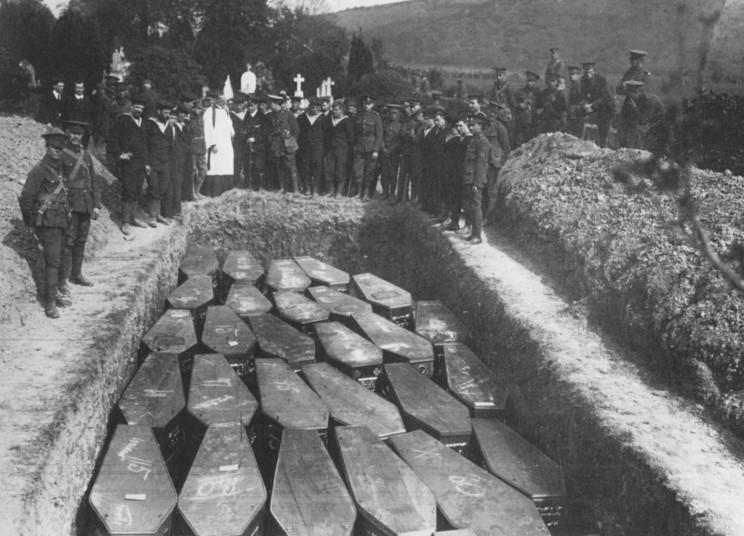 Mass burial of victims of the Lusitania in Old Church Cemetery in Queenstown (now Cobh), May 1916. Tonight in Carrigtwohill the local historical society will present an exhibition and two lectures under the common title World War I Remembered. Gerry White of the Western front Association (Cork Branch) and Marie Fitzgerald will both speak. Gerry will give a general overview of the effects of the war on the men at the front and on the communities at home. Marie will recall her grandfather Daniel Fitzgerald who was a stoker on HMS Tiger during the Battle of Jutland in 1916, and happily survived the war. Townlands II – Ireland’s ‘original’ postcodes. One of the most irritating experiences for an Irish person when registering for something online is the difficulty we face when asked to insert a postcode into our address. Some websites can’t cope with an empty postcode box – so our registration gets cancelled automatically. I usually put in a line of zeros, or 1 followed by zeros. In the Irish postal system this makes absolutely no sense – because we don’t, at present, have any postcodes here in Ireland. 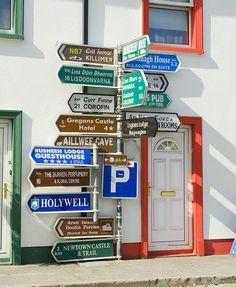 I know, I know….’how do you get mail to people?’ Well, here we usually write an address (like you do) and, especially in rural areas, the address contains a townland name, as well as the name of the post office that delivers the daily post to the stated address. With some 62,000 townlands of various sizes, in the country – it’s as good as a postcode system. Or at least it was, until towns began to grow bigger – and Dublin especially expanded exponentially. To complicate matters, lazy Irish local government (county councils, town and city councils) did not bother to exercise any control over the naming of new housing developments, usually leaving this up to the normally impoverished imagination of property developers (or their marketing staff!). Hence, near where I live you stumble across a recently built housing development called THE COTSWOLDS (!). Perhaps at this point I should point out one tiny detail the developer of The Cotswolds may have overlooked. The real Cotswolds is an area in Gloucestershire in the western part of England (a little north-east of Bristol). The native stone there is a creamy, even honey-coloured, limestone, or a soft grey limestone. Here in Midleton the stone is either a hard grey limestone fading to almost white, or, more rarely, old red sandstone. Our local stone looks nothing like the stone in charming Cotswolds village houses and cottages. For goodness sake, we even have red marble – although that was normally employed for decorative purposes. But neither East Cork nor Midleton look anything like the real Cotswolds – even if you think Augustus WN Pugin’s fine pair of townhouses on Main Street could do very well in the reals Cotswolds. The two houses designed by AWN Pugin (who designed the interiors of the Palace of Westminster (Houses of Parliament in London) and the clock tower popularly called ‘Big Ben’. The large windows on the ground floor lit up shops. The living quarters were upstairs. Built after 1851, supervised by Pugin’s son, Edward, and rapidly combined into a single premises used as a hotel called The Midleton Arms. Used as a barracks for the British Auxiliaries during the Irish War of Independence – hence the bullet holes on the facade! Later in use as a public house and restaurant. 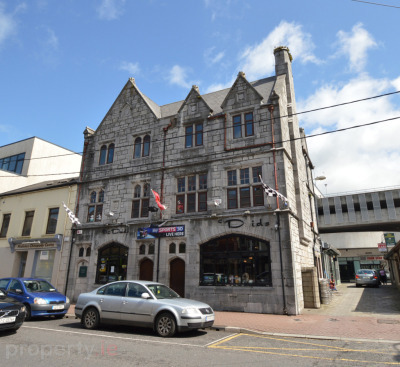 Now called McDaid’s Pub, it is currently up for sale! 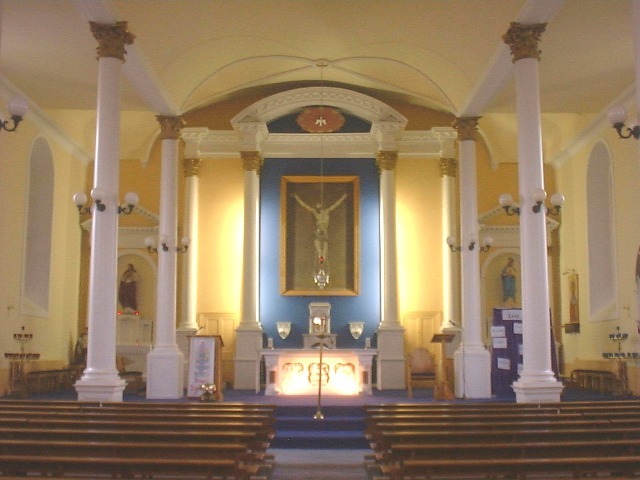 The Cotswolds (fake Midleton version) is located in a large townland called Castleredmond. 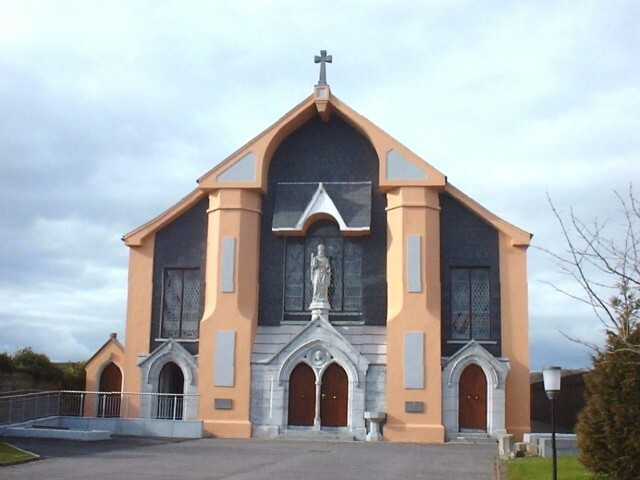 There are several addresses called Castleredmond in Midleton. One is located near the Christian Brothers Schools at the extreme edge of the townland of Castleredmond, Another is located in an outshot of Townparks townland that is bound on two sides by Castleredmond, A third is a large housing scheme between Midleton and the village of Ballinacorra – appropriately, this is located near the middle of Castleredmond townland. And then there’s Castleredmond Court on the site of the old convent, but located in Townparks! The lack of clear distinction between these different addresses has been known to create a problem for the postman. But that problem is due to local government abdicating its responsibilities to the private developers. Normally the townland addresses work well and can be remarkably precise. Now the Irish government is committed to spending between twenty and twenty five million Euro on a new postcode scheme that won’t even be compulsory! Delivery companies and the emergency services say they won’t even bother with the scheme because it makes no sense on the ground. I suspect that the townland addresses will still be used by most people! Well, they served for most of the last millenium and more – if it ain’t broke, don’t fix it! But in Ireland it might be useful for local government to exercise some control over the naming of new roads and housing schemes! No more Irish Cotswolds please! You simply cannot improve on the charm of the original English version! Read also Townlands – the basic unit of Irish Local Identity. Townlands – the basic unit of Irish local identity. 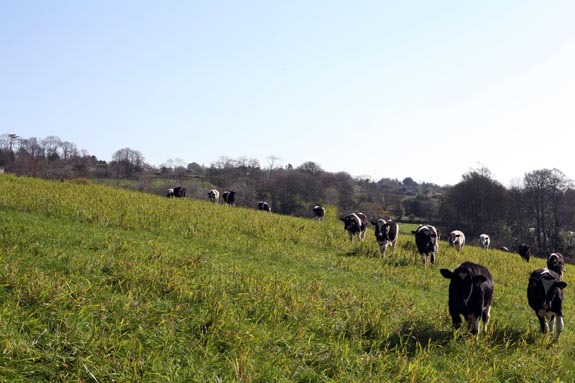 Cattle posing for a photo in the East Cork countryside. The English word townland was created to replace the Irish word baile bo which refers to a piece of land that can support a herd of cattle. When the Cromwellian conquest of Ireland was completed in the early 1650s, the country lay in ruins – plague, famine and war had decimated the population. The calamity was even worse than the disaster of the Great Famine in the 1840s. In a deeply pious age, it really must have seemed as if the four horsemen of the Apocalypse had simply run amok. But one more disaster awaited those Catholics who actually owned land – confiscation and transplantation. The Commonwealth or Cromwellian government had to pay off those soldiers who had fought in its armies, and also pay off those wealthy merchants and landed gentry who had ‘adventured’ money to pay for the conquest of Ireland. Back then there were very few sophisticated financial instruments the government could use to raise the money to do this. But there was one outstanding resource that could stand in for money – land. By confiscating the land of rebellious Irish Catholics, the Commonwealth could release a huge amount of land for paying off the Adventurers and soldiers. 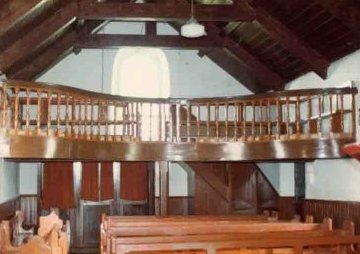 But once the Catholic landowners were dispossessed and forced to migrate to the western province of Connacht, the government faced a difficulty – how to accurately quantify the amount of land released under the scheme? There were no accurate maps of each of the localities to the granted to the Adventurers and soldiers. Eventually, after some delays and difficulties, the ambitious surgeon-general of the English army, William Petty, stepped in and offered to survey the whole area to be confiscated. He achieved this in barely three years (1655-1658)! The end result was that Ireland was the first country to be accurately measured and mapped in its entirety according to the modern mapping techniques then available. It also allowed Petty to publish the first truly accurate map of the whole of Ireland in 1685. 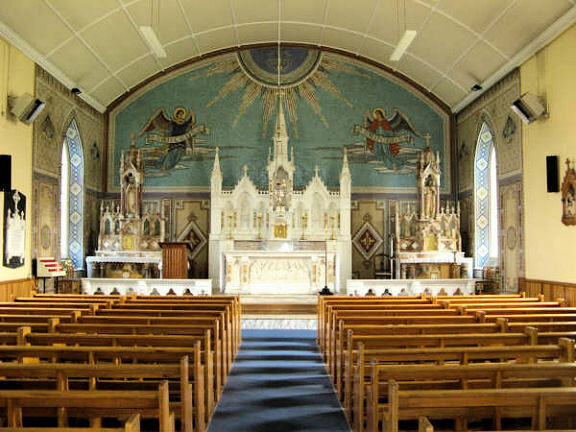 What has all this got to do with Irish townlands? Well, when Petty’s surveyors examined the country they used the townland as the basic unit of territorial division. This can be seen in the parish maps that were produced by the survey – each parish was made up of several townlands. These parish maps were the basis of the barony maps, which, in turn, led to the creation of county maps, thence the provincial maps and finally the General Mapp of Ireland. By using the townland as the basic territorial unit, Petty made himself the godfather of the modern Irish townland. Virtually all the townlands identified by Petty’s surveyors still exist, but new ones were also created later, usually by subdividing large townlands, or cutting a chunk out of an existing townland. 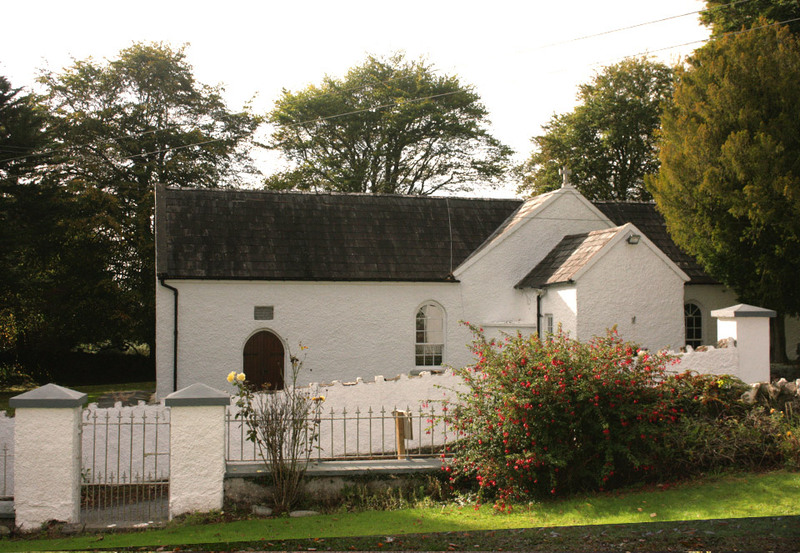 A classic example of the latter is the townland of School-Land in Midleton. 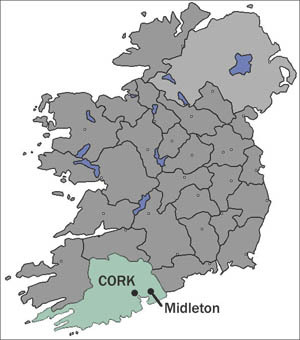 Cut out of the townland of Townparks, it represents the land given by the Brodrick family to the Elizabeth Villiers, Countess of Orkney, to persuade her to establish her intended new school in Midleton – it’s now called Midleton College (a boarding and day secondary school). Why do this? 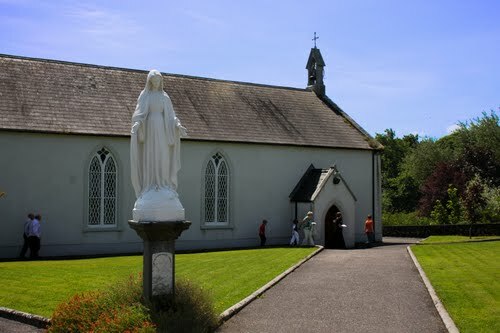 The 1670 charter of King Charles II gave the Corporation (town council) of Midleton authority over a number of townlands (Townparks, Castleredmond, etc), but the charter didn’t mention the townland of School-Land, because it didn’t come into being until 1696, when the school was founded! 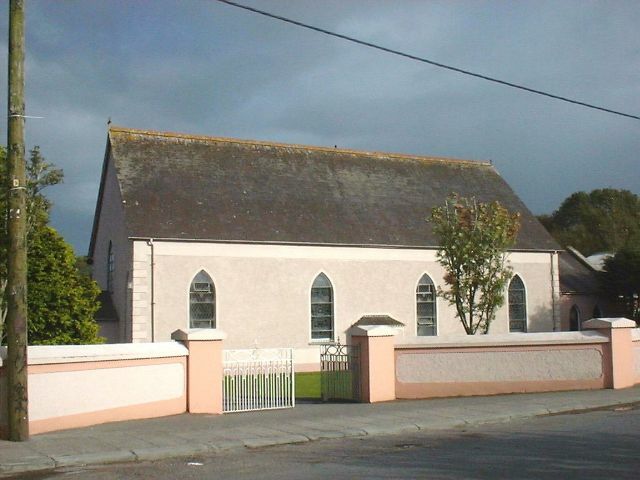 The new townland allowed the school to exist and function outside the jurisdiction of the Corporation – although it was represented on the board of governors. Another example is Dromadda East townland near the village of Ladysbridge. This is shown on the first edition six-inch Ordnance Survey map as consisting of just eight acres, three roods and thirty perches (8a 3r 30p) laid out in four exactly rectangular fields. However this townland does not appear on the Down Survey maps because it was clearly separated from the townland of Dromaddabeg several years after Petty’s men surveyed the area. Its creation must have come about through a sale of the land to a different owner. William Petty’s use of townlands as the basic territorial unit meant that the earlier smaller territorial units were effectively lost, so today, the townland is the basic building block of of all Irish territorial divisions. According to Thomas Larcom, first director of the Ordnance Survey of Ireland, the building blocks of Irish territorial divisions included such land measurements as the gneeve (approximately 10 acres, depending on the quality of the land), the sessiagh (c.20 acres approx.) consisting of two gneeves, a varying number of sessiaghs or gneeves made up a ballyboe or tate or townland, depending on the productive quality of the land. Today there are 61,096 townlands in Ireland (north and south) of which 60, 679 are inhabited (2011). Everyone in Ireland, whether they realize it or not, lives in a townland. No wonder we didn’t need postcodes!